Electronics retailer Radio Shack plans to close as many as 1,100 stores -- or nearly 20% of its locations. The company said Tuesday that the closings will leave it with more than 4,000 stores, including 900 operated as franchise locations. Radio Shack also reported that sales at stores open at least a year fell 19% in the last quarter, which included the important holiday shopping period. It blamed the drop on traffic declines and weak sales of mobile devices such as cell phones. Its net loss in the period roughly tripled. CEO Joseph Magnacca told investors that the stores to be closed were lower performing locations had been forecast to lose money this year. 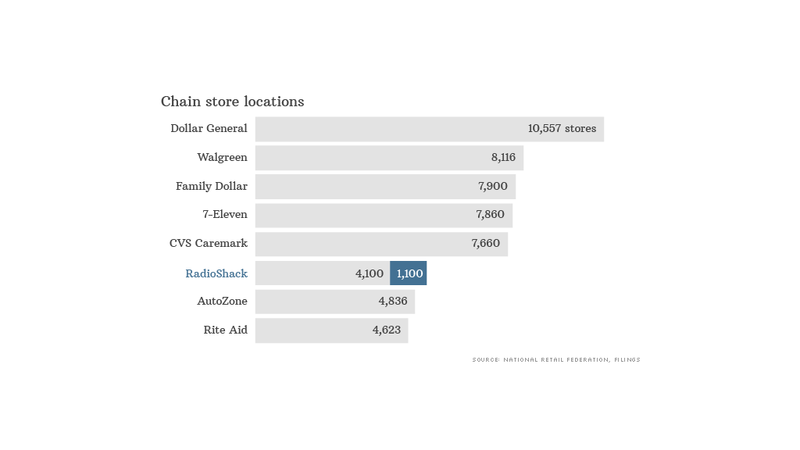 Radio Shack has one of the largest footprints of any U.S. retailer, with about 5,200 locations in the United States. Company filings say that more than 90% of the U.S. population lives or works within minutes of a Radio Shack location. Chief financial officer John Feray said that within five miles of his Fort Worth, Texas, home there are eight Radio Shack stores. "So, in that example, we are over-stored," he said. By comparison, Wal-Mart (WMT), the nation's largest retailer, has about 3,700 U.S. stores, while Best Buy (BBY), one of Radio Shack's major competitors in the electronics sector, has 1,400 U.S. locations. Radio Shack has 27,500 employees worldwide. The number of jobs that will be lost in the store closings was not disclosed, nor were the locations. Radio Shack has also publicly admitted its current stores are out of date and in need of a massive overhaul. 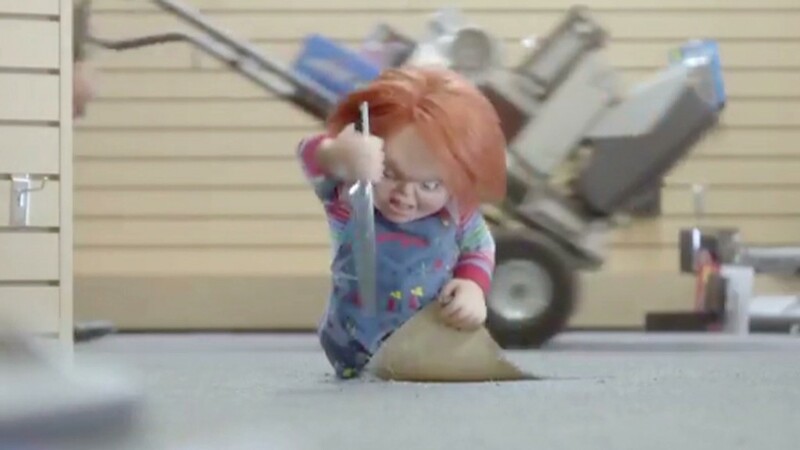 Its Super Bowl ad this year was a self-deprecating acknowledgment that its stores are stuck in the 1980s. It has closed about 100 U.S. stores each of the last two years. Brick-and-mortar retailers, especially those in electronics such as Radio Shack and Best Buy (BBY) have faced particularly tough competition from online retailers such as Amazon (AMZN) in recent years. Shoppers are likely to engage in a practice known as "showrooming" in which they go to a brick-and-mortar store to look at a product, but then purchase it online, generally at a lower price. Best Buy is also in the process of closing stores as part of its own cost-cutting effort. Shares of Radio Shack (RSH) plunged more than 13% in midday trading Tuesday on the news, although it was well above earlier lows.